Many of us often forget to set featured images for all our posts. That comes back to bite you when you upgrade your theme to a dynamic magazine template. Setting featured images for hundreds or thousands of posts manually is not the best way to use your time. You can always use a plugin to automatically set a featured image for each post. WP Random Post Thumbnails can also help. This plugin lets you select images to be shown at random for posts without a featured image. You can select images for only certain post types, tags, and categories. 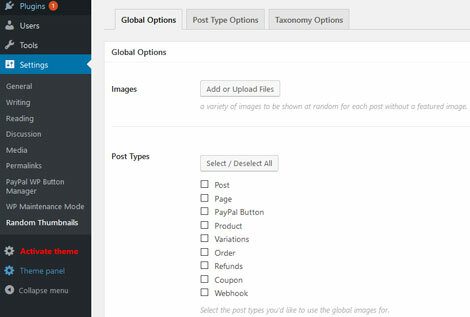 WP Random Post Thumbnails lets you enable and disable global image options from the back-end.